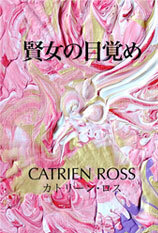 This is Catrien Ross, of Energy Doorways, in Aokigahara forest, Japan. Hi Catrien .. it is a beautiful place and the bird song just gently rings out .. I love the tangled mess we see – it is life – life carries out around our own mess .. a touch of sunlight appears we can move towards, we can look around and see the path to clarity – high above .. for us to move away from clutter and ties, for those who have gone to the higher reaches of the above ..
as Liara mentions your voice is very soothing .. lovely words ..
Like me, you resonate with the tangled mess that is Aokigahara. It tumbles and twists in its own logic and rhythm. So full of life power and calling out to the life power in us. Thank you for your lovely insight about the “touch of sunlight” that helps move us forward. It is always good to see you here, Hilary. Thank you for dropping by and sharing your comments. Greeting and love to you from the foot of Mount Fuji – Catrien. One could say that anything that strikes our attention in any given moment is speaking to us. Its just that many no longer have a quiet mind to hear that which we have invited into our scope of potential being. When we truly listen and truly see, the message or the voice or the energy has then been loved and integrated creating a shift within to experience yet again and again but from newer and updated vantage points. If nothing grabs our attention, then one also can tap into a sea of peace and tranquility where no ripples in the continuum exist to be reabsorbed and contemplated upon. Good morning and thank you for another wonderful insight. This attention – this attraction – is what draws us deeper within and also pulls us outward to a wider connection and gratitude. From Japan to you – thank you again – Catrien.